GAP BEACH - Rainforest Gully Restoration. The north end of Gap Beach in Hat Head NP was cleared for farming in the 1960s. South West Rocks Dune Care is managing a 2012, six year grant from the NSW Environmental Trust to eliminate weeds, restore native rain forest and stabilise gully erosion. From small infestations of Billy goat weed to critical environmental threats like Bitou, readily available high technology is being successfully applied to some of Australia's most severe weed threats. This marvelous success story has national implications. Australian Greens co-founder Robert “Bob” Brown will receive an honorary doctorate in Science from the University of Sydney at a special ceremony this morning. The Doctor of Science (honoris causa) is being conferred in recognition of Bob Brown’s exceptional achievements and eminence in politics and as an advocate for environmental conservation. Bob Brown is a University of Sydney alumnus, having graduated with a Bacheor of Medicine degree in 1968. Vice-Chancellor and Principal Dr Michael Spence will acknowledge in the citation: “Bob is regarded as one of the founders of the environmental movement in Australia... He successfully led the opposition to the damming of Tasmania’s Franklin River. “Bob introduced initiatives such as Freedom of Information, Death with Dignity, lower parliamentary salaries, gay law reform, banning the battery-hen industry, nuclear free Tasmania and protection of native forests." The citation will note that Labor and the Coalition voted against his 1987 bill to ban semi-automatic guns, nearly a decade before the Port Arthur massacre. Bob Brown, who will deliver an occasional address, said ahead of the ceremony that he was honoured to be receiving the doctorate and that what Trunkey Creek Public School began in 1950 the University of Sydney had completed in 1968. “I learned that planet Earth is in our own hands, that there will be no divine intervention and that history, as H.G. Wells put it, is a race between education and disaster. "Might this University become a champion of the egalitarian logic of a global parliament? A democratically elected global parliament is an essential factor for turning eight billion people from consuming ourselves out of the one house and home we have… or else fighting ourselves to extinction." Bob Brown was selected in late 2016 to be a recipient of a University of Sydney honorary doctorate. The ceremony will be presided over by Pro Chancellor Dr Barry Catchlove; Dr Brown will speak in the Great Hall while his Earth Song video is projected in the background. - Bob Brown's video will be shown during his occasional address. In its efforts to protect the Great Barrier Reef and building on the $27.4 million investment to support the direct management of crown-of-thorns starfish, the Australian Government is now turning to the starfish’s natural predator for help. As part of its commitment under the Reef 2050 Plan, the Government has invested $568,000 towards research trials into breeding of the starfish’s feared predator—the giant triton sea snail (Charonia tritonis). This project builds on the success of previous Australian Institute of Marine Science (AIMS) research which found that crown-of-thorns starfish will actively try to avoid an area where triton sea snails are present. The study, which was funded through the Australian Government’s Reef Programme, showed that exposing crown-of-thorns starfish to triton secretomes produced a consistent alarm response—with the starfish attempting to flee from the perceived threat. The researchers found that there is potential the tritons could eventually be ‘deployed’ to prevent crown-of-thorns from closely aggregating during their spawning season, and this could help prevent the starfish from reaching outbreak numbers. The chemicals could potentially be synthesised to create alarm-inducing 'baits' to aggitate starfish on reefs and limit outbreaks. The giant triton is native to coral reefs in the Pacific and Indian oceans but is extremely rare, and was hunted extensively by shell collectors. 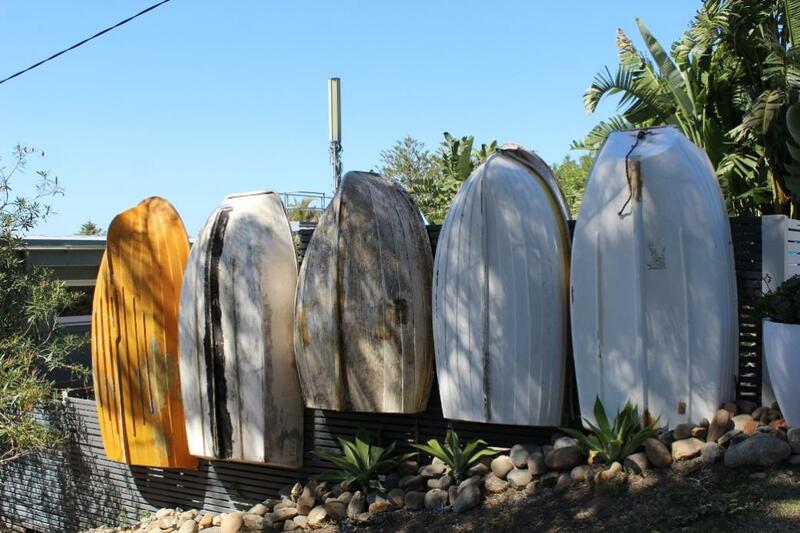 It is fully protected in Queensland waters. Giant tritons held at AIMS have laid numerous egg capsules, with over 100,000 swimming larvae hatching in the last month. Very little is understood about their dietary requirements or the cues that trigger their metamorphosis into the adult snail. The research project focuses on helping triton larvae to transition to their juvenile and adult stages, providing the opportunity for further research into triton biology. The possibilities the triton breeding project opens up are exciting. If successful, this research will allow scientists to closely look at the impact of giant tritons on crown-of-thorns behaviour and test their potential as a management tool to help reduce coral lost to outbreaks. The project commenced in mid-June 2017 and will continue until June 2019. Scientists say that a large, now extinct, frog called Beelzebufo that lived about 68 million years ago in Madagascar would have been capable of eating small dinosaurs. The conclusion comes from a study of the bite force of South American horned frogs from the living genus Ceratophrys, known as Pacman frogs for their characteristic round shape and large mouth, similar to the video game character Pac-Man. Due to their attractive body colouring, voracious appetite, and comically huge heads, horned frogs are very popular in the international pet trade. Published today in the Nature journal Scientific Reports, the scientists from University of Adelaide, California State Polytechnic University -- Pomona, University of California -- Riverside and UCL, University College London found that living large South American horned frogs have similar bite forces to those of mammalian predators. "Unlike the vast majority of frogs which have weak jaws and typically consume small prey, horned frogs ambush animals as large as themselves -- including other frogs, snakes, and rodents. And their powerful jaws play a critical role in grabbing and subduing the prey," says Dr Marc Jones, researcher at the University of Adelaide's School of Biological Sciences and honorary researcher at the South Australian Museum. The study found that small horned frogs, with head width of about 4.5cm, can bite with a force of 30 newtons (N) or about 3 kg or 6.6 lbs. A scaling experiment, comparing bite force with head and body size, calculated that large horned frogs that are found in the tropical and subtropical moist lowland forests of South America, with a head width of up to 10 cm, would have a bite force of almost 500 N. This is comparable to reptiles and mammals with a similar head size. "This would feel like having 50 litres of water balanced on your fingertip," says Professor Kristopher Lappin, Professor of Biological Sciences at California State Polytechnic University -- Pomona. Based on their scaling relationship, the scientists estimated the bite force of the giant extinct frog Beelzebufo -- which is in many ways similar to living horned frogs -- may have had a bite up to 2200 N, comparable to formidable mammalian predators such as wolves and female tigers. "At this bite force, Beelzebufo would have been capable of subduing the small and juvenile dinosaurs that shared its environment," says Dr Jones. The scientists measured bite force using a custom-made force transducer, a device which accurately measures the force applied to two plates covered with leather when an animal bites them. "This is the first time bite force has been measured in a frog," says Professor Lappin. "And, speaking from experience, horned frogs have quite an impressive bite, and they tend not to let go. The bite of a large Beelzebufo would have been remarkable, definitely not something I would want to experience firsthand." Sean Wilcox, a PhD candidate at the University of California -- Riverside, says: "Many people find horned frogs hilarious because of their big heads and fat, round bodies. Yet, these predators have given us a rare opportunity to learn something more about the biology of a huge extinct frog." A partnership between QUT, the NSW Government and farmers could lead to the eventual eradication of the highly invasive African lovegrass threatening pastures and native grasslands Australia-wide. What they discovered is that local knowledge is the key to a successful management approach. The results of a research project by Associate Professor Jennifer Firn from QUT's School of Earth, Environmental and Biological Sciences, Emma Ladouceur from Italy's University of Pavia and Dr Josh Dorrough from the NSW Office of Environment and Heritage, have been published in the international Journal of Applied Ecology. "The impact of invasive non-native plant species like African lovegrass is increasing dramatically," said Professor Firn, who has previously tested control methods for the grass in southern Queensland. "A native of southern Africa, it is very hardy and considered valuable for animal production and soil conservation but in Australia, where it is believed to have first arrived in the 1800s, it is considered by many Landholders to be a pest species because it is not selectively grazed by livestock and tends to dominate native pastures reducing biodiversity and essential ecosystem functions. "Landholders are in a unique position to witness species turnover in grasslands as well as learn from their own successes and failures in trying to manage invasive grasses. "For this study, we worked closely with 15 landholders in the Bega region of NSW to examine the changing ecological characteristics of grassy woodlands and the impact on them following the arrival of the non-native African Love Grass which has become an enormous problem for them. "We then conducted a field study testing seven landholder-generated hypotheses at 57 sites on the 15 Landholders properties, which validated many of their management perceptions." Professor Firn said seeds for African lovegrass can germinate even up to 17 years of age and are dispersed by grazing animals, slashing, vehicles, water, fodder and wind. It thrives in drought conditions and paddocks with low ground cover are more susceptible to invasion. "As well as overwhelming endangered native grasses, African lovegrass tussocks can grow so large they restrict the movements of livestock and become a hazard to famers trying to navigate their properties," she said. "Our project has yielded some extremely helpful information and really highlighted the value of a team effort amongst scientists, governments, land care groups and farmers. "One theory we tested was whether mechanically slashing African lovegrass and then putting a large number of cattle into the paddock was effective as some farmers think. We found the opposite was true and it only made the lovegrass more abundant. It was also an expensive exercise for farmers. "Conversely, we discovered that an alternative control technique, "roller-wiping" or spot spraying with herbicide, was effective even with heavy infestations and cost efficient despite its poor reputation. "Overall, we found local knowledge coupled with scientific methods can act in tandem as a smart approach to developing management solutions to African lovegrass, but this approach would likely be useful for understanding and managing other invasive plants and animals." A new study of the world's seven sea turtle species provides evidence that their numbers are growing overall (unlike many endangered vertebrates), thanks to years of conservation efforts that have played a key role in sea turtle recovery -- even for small sea turtle populations. Sea turtles have historically suffered population declines for reasons that include accidental catch and harvesting adults and eggs. Such decreases have motivated worldwide conservation efforts since the 1950s to employ tactics like strict fishing regulations and beach protection measures. To examine the current global status of sea turtles, Antonios Mazaris and colleagues studied 4,417 annual estimates of sea turtle nesting abundance based on specific time periods of nesting data collection that ranged in length from six to 47 years. They used estimates from 2010 or later to evaluate the length of time periods required to detect significant trends in abundance within Regional Management Units (which represent discrete groups of nesting sites in certain areas that are distinct from one another based on genetics, distribution, movement, and demography) for each species, finding a majority of population increases (95 significant increases compared to 35 significant decreases). Despite the encouraging upward population trends, Mazaris et al. 's results complement International Union of Conservation for Nature (IUCN) assessments of sea turtle status, which lists six sea turtle species as endangered. The authors also found that while longer time periods of nesting data collection are important for detecting population trends, shorter intervals not currently used by IUCN could still provide important information, though they highlight the need for more updated and continuous nesting site information. An anchor dating back to when the French Navy explored our coastline will soon be back on display for all to see, NSW Heritage Minister Gabrielle Upton announced today. The relic from the last voyage of navigator Jean-François de Galaup, comte de Lapérouse is being returned to public display on the Sydney headland that bears his name. The anchor’s return to La Perouse is part of a new leasing agreement between the NSW Government and Randwick City Council which will see the precinct, including the State Heritage Listed buildings and museum collection, managed by the Council. The anchor, which is more than 230 years old, will now be moved from storage at Rouse Hill back to La Perouse where it will be restored before going on display. “It will now be one of the main drawcards for the La Perouse Museum,” Ms Upton said. “This is a remarkable piece of our history – it’s time for it to stop gathering dust in a Government storeroom,” Ms Upton said. The anchor would have been either on board or being used to anchor the L’Astrolabe or Boussole ships in Botany Bay when the First Fleet was also there in 1788. “It is one of an extremely rare group of objects in public ownership that survived from 1788, the very first days of European settlement in Australia,” Ms Upton said. This is one of a few things that has survived from 1788 and it will put on display for everyone to see. The NSW Government and Randwick City Council are working together to conserve the remains of the anchor. Astrolabe was a converted flûte of the French Navy, famous for her travels with Jean-François de Galaup, comte de Lapérouse. She was built in 1781 at Le Havre as the flûte Autruche for the French Navy. In May 1785 she and her sistership Boussole (previously Portefaix) were renamed and rerated as frigates, and fitted for round-the-world scientific exploration. The two ships departed from Brest on 1 August 1785, Boussolecommanded by Lapérouse and Astrolabe under Paul Antoine Fleuriot de Langle. The expedition vanished mysteriously in 1788 after leaving Botany Bay on 10 March 1788. Captain Peter Dillon in Research solved the mystery in 1827 when he found remnants of the ships Astrolable and Boussole at Vanikoro Island in the Solomon Islands. Local inhabitants reported that the ships had been wrecked in a storm. Survivors from one ship had been massacred while survivors from the other ship had constructed their own small boat and sailed off the island, never to be heard from again. The fate of Lapérouse, his ships and crew was a subject of mystery for some years. Louis XVI reportedly often inquired whether any news had come from the expedition, up to shortly before his execution. It is also notably the subject of a chapter from Twenty Thousand Leagues Under the Sea by Jules Verne. 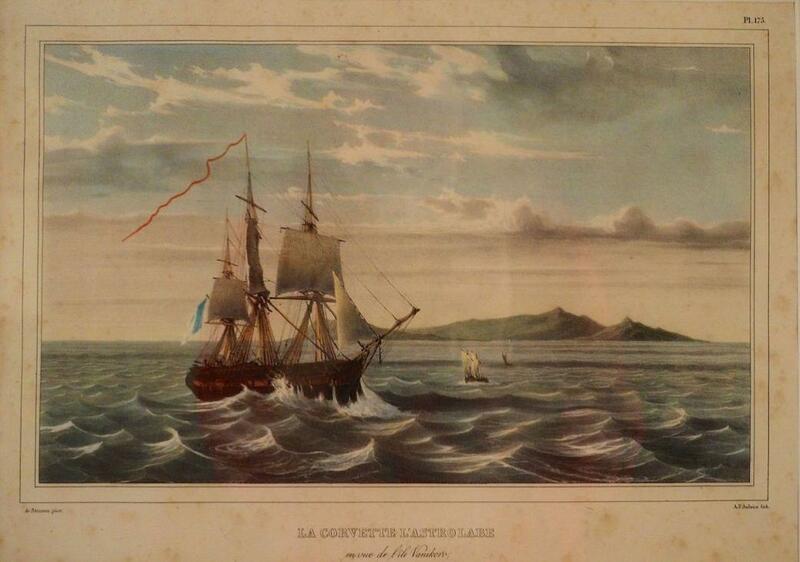 Plate from 1833 book showing the french frigate L'Astrolabe near the island of Vanikoro. Jean-François de Galaup was born near Albi, France. Lapérouse was the name of a family property that he added to his name. He studied in a Jesuit college and entered the naval college in Brest when he was fifteen. In 1757 he was posted to Célèbre and participated in a supply expedition to the fort of Louisbourg in New France. Lapérouse also took part in a second supply expedition in 1758 to Louisbourg, but as this was in the early years of the Seven Years' War, the fort was under siege and the expedition was forced to make a circuitous route around Newfoundland to avoid British patrols. In 1759, Lapérouse was wounded in the Battle of Quiberon Bay, where he was serving aboard Formidable. He was captured and briefly imprisoned before being paroled back to France; he was formally exchanged in December 1760. He participated in a 1762 attempt by the French to gain control of Newfoundland, escaping with the fleet when the British arrived in force to drive them out. Following the Franco-American alliance, Lapérouse fought against the Royal Navy off the American coast, and victoriously led the frigate L'Astrée in the Naval battle of Louisbourg, 21 July 1781. He was promoted to the rank of commodore when he defeated the English frigate Ariel in the West Indies. He then escorted a convoy to the West Indies in December 1781, participated in the attack on St. Kitts in February 1782 and then fought in the defeat at the Battle of the Saintes against the squadron of Admiral Rodney. In August 1782 he made his name by capturing two English forts (Prince of Wales Fort and York Fort) on the coast of Hudson Bay, but allowed the survivors, including Governor Samuel Hearne of Prince of Wales Fort, to sail off to England in exchange for a promise to release French prisoners held in England. The next year, his family finally consented to his marriage to Louise-Eléonore Broudou, a young creole of modest origins whom he had met on Île de France (present-day Mauritius) eight years earlier. Lapérouse was appointed in 1785 by Louis XVI and by the Secretary of State of the Navy, the Marquis de Castries, to lead an expedition around the world. Many countries were initiating voyages of scientific explorations. Louis XVI and his court had been stimulated by a proposal from the Dutch-born merchant adventurer William Bolts, who had earlier tried unsuccessfully to interest Louis’s brother-in-law, the Holy Roman Emperor Joseph II (brother of Queen Marie Antoinette), in a similar voyage. The French court adopted the concept (though not its author, Bolts), leading to the dispatch of the Lapérouse expedition. Charles Pierre Claret de Fleurieu, Director of Ports and Arsenals, stated in the draft memorandum on the expedition that he submitted to the Louis XVI: "the utility which may result from a voyage of discovery ... has made me receptive to the views put to me by Mr. Bolts relative to this enterprise". But Fleurieu explained to the King: "I am not proposing at all, however, the plan for this voyage as it was conceived by Mr. Bolts". The expedition's aims were to complete the Pacific discoveries of James Cook (whom Lapérouse greatly admired), correct and complete maps of the area, establish trade contacts, open new maritime routes and enrich French science and scientific collections. His ships were L'Astrolabe (under Fleuriot de Langle) and La Boussole, both 500 tons. They were storeships reclassified as frigates for the occasion. Their objectives were geographic, scientific, ethnological, economic (looking for opportunities for whaling or fur trading), and political (the eventual establishment of French bases or colonial cooperation with their Spanish allies in the Philippines). They were to explore both the north and south Pacific, including the coasts of the Far East and of Australia, and send back reports through existing European outposts in the Pacific. Lapérouse was well liked by his men. Among his 114-man crew there were ten scientists: Joseph Lepaute Dagelet (1751–1788), an astronomer and mathematician; Robert de Lamanon, a geologist; La Martinière, a botanist; a physicist; three naturalists; and three illustrators, Gaspard Duché de Vancy and an uncle and nephew named Prévost. Another of the scientists was Jean-André Mongez. Even both chaplains were scientifically schooled. One of the men who applied for the voyage was a 16-year-old Corsican named Napoléon Bonaparte. Bonaparte, a second lieutenant from Paris's military academy at the time, made the preliminary list but he was ultimately not chosen for the voyage list and remained behind in France. At the time, Bonaparte was interested in serving in the navy rather than army because of his proficiency in mathematics and artillery, both valued skills on warships. Copying the work methods of Cook's scientists, the scientists on this voyage would base their calculations of longitude on precision watches and the distance between the moon and the sun followed by theodolite triangulations or bearings taken from the ship, the same as those taken by Cook to produce his maps of the Pacific islands. As regards geography, Lapérouse decisively showed the rigour and safety of the methods proven by Cook. From his voyage, the resolution of the problem of longitude was evident and mapping attained a scientific precision. Impeded (as Cook had been) by the continual mists enveloping the northwestern coast of America, he did not succeed any better in producing complete maps, though he managed to fill in some of the gaps. He arrived off Botany Bay on 24 January 1788, just as Captain Arthur Phillip was attempting to move the colony from there to Sydney Cove in Port Jackson. The First Fleet was unable to leave until 26 January because of a tremendous gale, which also prevented Lapérouse's ships from entering Botany Bay. The British received him courteously, and each captain, through their officers, offered the other assistance and needed supplies. Lapérouse spent six weeks in the colony and this was his last recorded landfall. The French established an observatory, held Catholic masses, made geological observations, and established a garden. Their chaplain from L'Astrolabe was buried there and is celebrated annually on the anniversary of his death. Although Phillip and Lapérouse did not meet, there were 11 visits recorded between the French and the English. Over the past 200 years, commanders from the French Navy have regularly paid their respects at the Lapérouse Monument. Lapérouse Day, Bastille Day and the foundation of the Lapérouse Monument by Hyacinthe de Bougainville are celebrated every year. Quiet and secluded was the spot where the body of the priest was laid; commanding and appropriate was the site chosen for the monument to De la Peyrouse. Sheltered from the effects of storms which have since swept the trees in the locality and denuded them of leaves as though a hurricane had passed over them, there was nothing to disturb the quietness and solitude of the place after the hills had ceased to echo the sounds from the ships in the bay, but those things which a naturalist would love and one can imagine that the peacefulness surrounding the grave would remove much of the impression of its loneliness. The obelisk not only commands an extensive prospect of the Bay, but is immediately opposite the historical spot where Captain Cook first landed, and where also a monumental obelisk has been erected. For many years after the De la Peyrouse monument was placed in its present position it and the grave were with one exception -that exception being a well dug to water the French ships - the only evidences that white men had ever been in the locality; but now there are to be seen several substantially built houses, and a small fishing village. A Custom-house station is there, and the New Zealand cable coming ashore at this spot, there is a telegraph station also. The well dug by the sailors of the Astrolabe and Boussole is not far from the grave, and near the beach. It looks now nothing but a hole excavated at the foot of three or four curiously twisted tea trees but there is fresh water in it, and the water rises and falls with the tide. The religious service of yesterday was performed in a tent erected near the grave, and its object was to seek the aid of the French Government towards erecting a small Roman Catholic chapel on the spot so interesting to the French people. In that desire Father Holahan, one of the Franciscan brethren at Waverley, the order to which Father Le Receveur belonged, invited the captain and officers of the French ship Rhin, and the French Consul, to attend the service, and there were present yesterday: - M. Ballieu (French Consul), Madame Ballieu, Captain Mathieu (commander of the Rhin, and French Commissioner-General to the International Exhibition) M. Guth, M. Cauvin, and M. Verge (officers of the Rhin), M. Chauvin, and M.Bechet M.A. Veron, M. Jaubert, M. Harel, M. Lerede, M. Rey, Mr. Tarleton, Mr. T Butler, Mr. J. G. O'Connor, and others. Mass having been celebrated, Father Holahan delivered a short address to the congregation upon the history and virtues of the priest near whose grave they were assembled, the greatness of the French nation, and his desire to see a church raised on this spot through the munificence of the French Government. The service, which was a short one was entered into with earnestness by those present, and at its close many of the visitors re-paired to the residence of Mr M'Dermott, Custom-house officer, and partook of his hospitality. Lapérouse took the opportunity to send his journals, some charts and also some letters back to Europe with a British naval ship from the First Fleet—Alexander. He also obtained wood and fresh water and, on 10 March, left for New Caledonia, Santa Cruz, the Solomons, the Louisiades, and the western and southern coasts of Australia. Lapérouse wrote that he expected to be back in France by June 1789. The documents that he dispatched with Alexander from the in-progress expedition were brought to Paris, where they were published in 1797 under the title Voyage de La Pérouse. However, neither he nor any of his men were seen again. On 25 September 1791, Rear Admiral Bruni d'Entrecasteaux departed Brest in search of Lapérouse. His expedition followed Lapérouse's proposed path through the islands northwest of Australia while at the same time making scientific and geographic discoveries. The expedition consisted of two ships, La Recherche and L'Espérance. In May 1793, he arrived at the island of Vanikoro, which is part of the Santa Cruz group of islands (now part of the Solomon Islands). D'Entrecasteaux thought he saw smoke signals from several elevated areas on the island, but was unable to investigate due to the dangerous reefs surrounding the island and had to leave. He died two months later. The botanist Jacques Labillardière, attached to the expedition, eventually returned to France and published his account, Relation du voyage à la recherche de La Pérouse, in 1800. During the French Revolution, Franco-British relations deteriorated and unfounded rumours spread in France blaming the British for the tragedy which had occurred in the vicinity of the new colony. Before the mystery was solved, the French government had published the records of the voyage as far as Kamchatka: Voyage de La Pérouse autour du monde, 1–4 (Paris, 1797). These volumes are still used for cartographic and scientific information about the Pacific. Three English translations were published in 1798–99. Extracts from the latest English Papers.
" Captain Ingenold, commander of the American ship Charlotte, arrived from China, says, that he learnt in his voyage to the South-Sea, at the Sandwich Islands, and on the North-west coast, that before the Revolution of France, without being able to determine precisely the year, a vessel from Brest had, in the month of April, anchored in the Bay of Comshervar, a bay which is 54 deg. 13 min. North, opposite Eaglefield-bay, in the island called Queen Charlotte's Island. That this vessel, having a great quantity of sick, was attacked by the Islanders, who got on board the moment the crew were employed in reefing in the sails ; that they massacred the Captain, who was on the deck, and the whole crew, with the exception of a young man whose fate is unknown. It is added, that the Islanders destroyed the vessel after having unloaded it. It is presumed that this vessel was M. La Perouse's or her companion." "On the 8th of January, 1810, I was sent on shore with several other men, from the ship Sydney Cove, Captain CHARLES M'LARREN, at the South Cape of New Zealand, in order to procure seal skins. After leaving the vessel, I made towards the shore, and was some distance from it, when it began to blow a gale of wind directly offshore. This forced me to go into a Bay near the Cape, contrary to my wish, as I had passed it before, and saw that it was iron bound, having no beach. —I proceeded to the N. W. end of this bay, to pro-cure the best shelter I could, and found, to my great surprise, an inlet. At the end of the inlet, there was a pebbly beach, where we hauled up our boat for the night. The next morning, one of my men told me he had found a mast near the beach ; I went to look at it, and found it to be a ship's top-mast, of a very large size. It was very sound, but to all appearance, had lain in the water a long time. It was full of turpentine, which of course had preserved it. As I was compelled by contrary winds to remain three days in this inlet, I had time narrowly to examine this mast ; I measured it, and found its length to be 64 feet from the heel to the upper part of the cheeks ; the head had been broken off close to the cheeks. There were two lig-numvitæ sheaves near the heel, which I took out. Each of these sheaves were 16 inches in diameter—had an iron pin, two round brass plates a quarter of an inch thick, and four small iron bolts or rivets, which went through the sheaves, and the two brass plates to secure them. I have been some years in the British Navy, and am well assured that this bushing was not English. On taking off the plates from the sheaves, I found inside each of the plates, No. 32, which was, without doubt, the numher of the vessel which the mast be- longed to. Every ship in the British Navy is numbered, and I doubt not it is the case in other countries. When the ship came for me and my men, I informed Captain M'Lar-ren about the mast. He looked at the work, and gave it as his opinion, that the bushing was French ; he observed, that he did not know of any vessel that was ever lost on that coast that required a top-mast of that size, except the Endeavour, which was towed into Dusky Bay, and every thing belonging to her got on shore. I am inclined to be-lieve, that this top-mast belonged to the vessel in which Admiral De la Perouse sailed, which was never heard of since a month after she left Botany Bay, at the time Governor PHILIP was about forming a Settlement at that place. It is well known, that he shaped his course for New Zealand ; and it is very likely he might have been lost on a very dangerous double reef, called the " Traps," which is about 20 miles out to sea, nearly opposite to where I found this mast. The traps were not charted when De la Perouse was on discovery. The Sydney Cove was nearly lost on them one night ; and, I understand, Mr. KELLY, our Harbour Master, had also nearly fallen a vic-tim on them. I had almost forgotten to say, that, at Captain M'Larren's request, I gave him the sheaves and the mast to carry them to Europe ; but, as the ship he sailed in was confiscated at Rio de Janeiro, it is probable they may have been lost. Captain M'Larren, however, is still sailing out of Rio, and it is very likely he has some memorandum, which will corroborate this statement of mine--the greater part of which I have taken from my log." " W. Nicholls." It was not until 1826 that an Irish sea captain, Peter Dillon, found enough evidence to piece together the events of the tragedy. In Tikopia (one of the islands of Santa Cruz), he bought some swords that he had reason to believe had belonged to Lapérouse or his officers. He made enquiries, and found that they came from nearby Vanikoro, where two big ships had broken up years earlier. Dillon managed to obtain a ship in Bengal, and sailed for the coral atoll of Vanikoro where he found cannonballs, anchors and other evidence of the remains of ships in water between coral reefs. He brought several of these artifacts back to Europe, as did Dumont d'Urville in 1828. De Lesseps, the only member of the original expedition still alive at the time, identified them as all belonging to L'Astrolabe. From the information Vanikoro inhabitants gave Dillon, a rough reconstruction could be made of the disaster that struck Lapérouse. Dillon's reconstruction was later confirmed by the discovery, and subsequent examination in 1964, of what was believed to be the shipwreck of La Boussole. In May 2005, the shipwreck examined in 1964 was formally identified as that of La Boussole. The 2005 expedition had embarked aboard Jacques Cartier, a vessel of the French Navy. The ship supported a multi-discipline scientific team assembled to investigate the "Mystery of Lapérouse". The mission was called "Opération Vanikoro – Sur les traces des épaves de Lapérouse 2005". A further similar mission was mounted in 2008. The 2008 expedition showed the commitment of France, in conjunction with the New Caledonian Association Salomon, to seek further answers about Lapérouse's mysterious fate. It received the patronage of the President of the French Republic as well as the support and co-operation of the French Ministry of Defense, the Ministry of Higher Education and Research, and the Ministry of Culture and Communication. Preparation for this, the eighth expedition sent to Vanikoro, took 24 months. It brought together more technological resources than previously and involved two ships, 52 crew members and almost 30 scientists and researchers. On 16 September 2008, two French Navy boats set out for Vanikoro from Nouméa (New Caledonia), and arrived on 15 October, thus recreating a section of the final voyage of discovery undertaken more than 200 years earlier by Lapérouse. The Harbour Trust is inviting the community and stakeholders to help share the rich history of Headland Park by providing feedback on its draft Interpretation Strategy for Headland Park. The Strategy aims to draw out various aspects of the site’s rich history and guide the addition of interpretative elements across the precinct that share this history. Headland Park is one of Sydney’s most striking urban parklands with incorporating the former military sites at Chowder Bay, Georges Heights and Middle Head and connecting with Sydney Harbour National Park and Mosman Council reserves. It also has a rich Indigenous history. 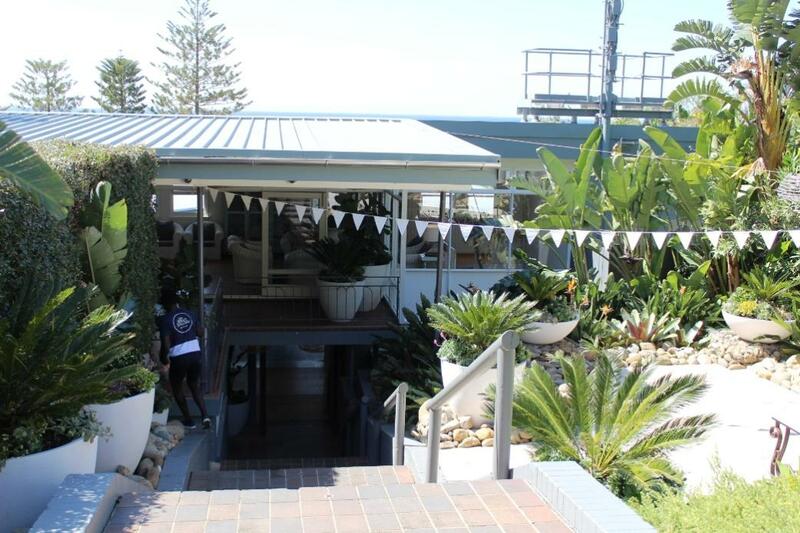 The urban parkland was first opened to the public in 2003 and has since become a thriving business park with a mix of commercial tenants, boutique cafes and art studios, and incorporates spectacular views of the harbour, bush tracks and recreation facilities. “The Harbour Trust is developing an Interpretation Strategy to build on the existing heritage interpretation and further share the stories of the site’s Indigenous, military and submariner history as well as its modern history as an urban parkland,” said Harbour Trust CEO, Mary Darwell. “It is expected the Strategy will result in the addition of interpretative items across the precinct using modern interpretive methods, resulting in a more engaging visitor experience and allowing the important historical threads of the site to be shared and remembered. “In order to develop the draft Strategy, the Harbour Trust undertook workshops and online surveying with key stakeholders representing the site’s Indigenous and military history as well as community groups who are actively involved in the site. “The contributions of these stakeholders has been vital in the development of the draft Plan, and I now encourage all members of the community to take this opportunity to join in the conversation and provide feedback on how this site’s intriguing history can be shared with everyone,” said Ms Darwell. “We look forward to working closely with National Parks and Wildlife Services and Mosman Council in the delivery of the strategy,” she said. The Interpretation Strategy will build on the existing military heritage interpretation of the site that includes the Hospital on the Hill interpretation trail and the History of Headland Park Interpretation Centre which tells the story of the Submarine Miners at Chowder Bay. Regular guided tours also take place every month taking visitors through the site’s underground tunnel and gun emplacements. The plan will be on exhibition until 9 October, and available onwww.harbourtrust.com.au . Printed copies are available to view at the Harbour Trust Office, Building 28 Best Ave, Mosman; Mosman Council, Civic Centre, Mosman Square; and Mosman Library, 605 Military Rd, Mosman. - Establishing an additional coal stockpile at the Springvale Coal Services Site. The applicant proposes to construct a LPG storage and cylinder filling and small truck loading facility on Egret Street, Kooragang. - One 50-tonne LPG tank, fireproofed with fendolite coating. - LPG loading/ unloading point (B-Double road tanker delivery and bobtail tanker loading). - LPG pump supplying cylinder filling plant. - One 4.5 kL LPG tank for receiving residual LPG from returned cylinders before inspection and refill. - Cylinder filling and storage, loadout on flat top trucks. - Overnight parking of laden bobtail tankers in a dedicated area. The NSW Department of Primary Industries (DPI) has recently listed Lake Macquarie on the NSW Central Coast in the ‘trophy’ fishery program, which aims to protect dusky flathead while allowing anglers to experience the thrill of catch and release fishing. The unique angler driven initiative involves the introduction of voluntary code of practice for the release of ‘trophy’ sized flathead over 70 cm in length and is currently being trialled in St Georges Basin and Tuross Head on the state’s south coast. The ‘trophy’ fishery program will maximise flathead stocks, provide enhanced angling opportunities and has the potential to increase local tourism. DPI’s Manager of Recreational Fisheries Programs, Bryan van der Walt said research indicates dusky flathead have a very high survival rate when released. “The new code of practice will provide detailed information on best practice catch and release techniques, meaning the recreational fishing haven of Lake Macquarie will continue to get better and better,” Bryan said. “The tagging component of the Lake Macquarie ‘trophy’ fishery has only just started but the program has been successfully running for more than a year in St Georges Basin and Tuross Head. “Approximately 90 big flathead have so far been tagged on the south coast and this is providing DPI researchers with valuable data. Catch and release is recognised as an important means of ensuring the sustainability of recreational fisheries. More information on the ‘trophy’ fishery program, including the code of practice, can be found on the NSW DPI website. The NSW Environment Protection Authority (EPA) and the NSW Environmental Trust (ET) are calling for local government, not-for-profit organisations and businesses from select Local Government areas to apply for grants to set up Community Recycling Centres (CRC) for the collection of household problem wastes. The $3 million Community Recycling Centre grants program is now open as part of the Waste Less, Recycle More initiative. Community Recycling Centres make it easier for NSW residents to recycle or safely dispose items like oils, paints and batteries. Applications are open until Wednesday 15 November 2017 with funding of up to $200,000 available to enhance existing facilities or build new facilities for the collection of problem waste. This is the fourth round of funding and it is designed to help keep problem waste out of the kerbside bin system by providing convenient and easy to use facilities for the community. EPA Chair and CEO Barry Buffier said the aim of the program is to establish a network that will provide 90 per cent of NSW households with access to a free Community Recycling Centre for common household problem wastes. “This funding focuses on our priority to establish Community Recycling Centres based on existing gaps in the network. ‘The funding to establish facilities in 22 priority Local Government Areas will mean residents will have a permanent facility available to people to drop-off low toxic wastes, such as gas bottles, household batteries, paint, oils and smoke detectors, Mr Buffier said. 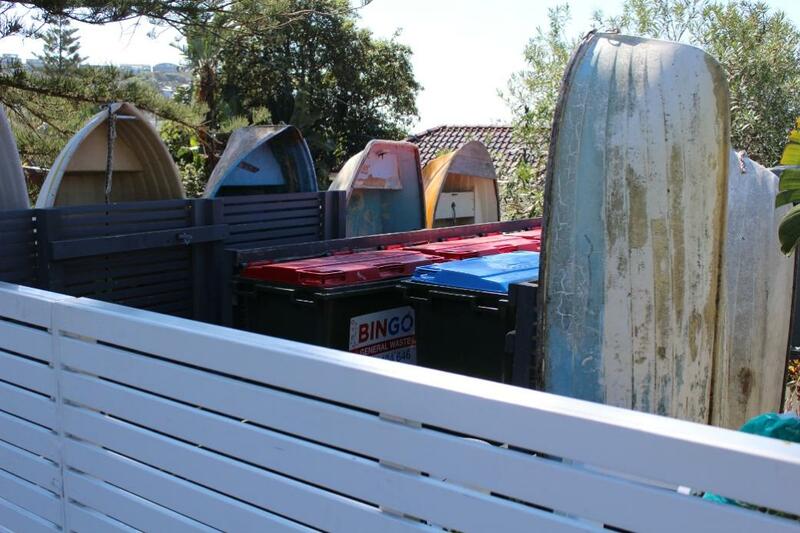 ‘To date, over 100 Community Recycling Centres have been funded in NSW and 62 are currently operational. Almost two million kilograms of household problem waste has been collected since the program started." Priority LGAs for funding include: Blacktown, Canterbury Bankstown, The Hills, Ku-ring-gai, Northern Beaches, Sydney, Bayside, Camden, Goulburn Mulwaree, North Sydney, Parramatta, Ryde, Shellharbour, Wagga Wagga, Waverley, Wollondilly, Woollahra, Yass Valley, Central Coast, Cumberland, Lake Macquarie and Sutherland. Asparagus Fern is our worst weed in Pittwater. 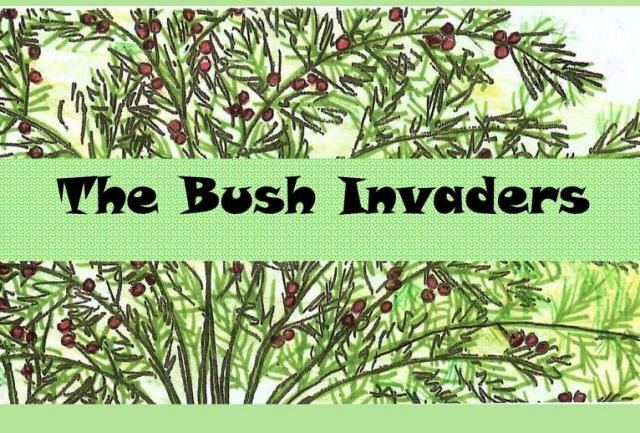 The Bush Invaders is by PNHA member and primary school teacher Sylvia Saszczak. Share to spread the message about this horror weed. It’s time to register for the 2017 NSW Department of Primary Industries’ (DPI) Rural Women’s Gathering, with this year’s theme Women, Culture, Land – Just add water, to be held 27-29 October at Narrandera. DPI Rural Women’s Network Project Officer, Emma Regan, said celebrating 25 years, the NSW Rural Women’s Gathering provides the opportunity for women to come together to build resilience by learning new skills accessing information, sharing experiences and having a voice to decision-makers. “Organised by a team of dedicated women from the Narrandera and Leeton communities, the weekend provides participants with the opportunity to hear from a brilliant line-up of inspirational women, to attend a variety of educational and informative workshops and to explore beautiful Narrandera,” Ms Regan said. Centrally located in the Riverina, Narrandera is situated beside the Murrumbidgee River and features a lot of natural beauty for visitors to discover - its rich history, culture, produce and environment. “A highlight of the Friday evening will be Cad Factory’s Shadow Places open air installation featuring 20 video projections onto round hay bales, with sounds and accompanying textile installations. Ms Regan said special guest speaker Dame Marie Bashir AD, CVO who was born and raised in Narrandera will tell her story of leaving a rural town to become the second longest serving Governor of NSW. “At the Silver Masquerade Gala Dinner we will no doubt be inspired by stories from acclaimed author Rosalie Ham, film producer/director Sue Maslin, and organic paddock-to-plate farmer Bettina Walker,” Ms Regan said. As part of the event, the 2017 Hidden Treasures Honour Roll, annually recognising rural women volunteers, will be launched. Interested participants are encouraged to register for the gathering before 5.00 pm Friday 6 October 2017. For enquiries please email narranderarwg2017@gmail.com or contact Kristen Clancy on 0437 998 075 or Tammy Galvin on 0427 848 163. Local communities, groups and individuals are invited to have their say in developing the NSW Invasive Species Plan 2017-2021 to reduce the impacts of pest animals and weeds on our land, sea and waterways. NSW Department of Primary Industries (DPI) invasive species strategy manager, Quentin Hart, said invasive animals and weeds impact on the environment, agriculture, infrastructure and human health. “We aim to develop a new plan with input from the community, which will help prevent new pest incursions and reduce existing pest threats,” Mr Hart said. “Invasive pest animals, including wild dogs, deer and rabbits, feral cats and goats, foxes and carp, are estimated to cost the Australian economy more than $1 billion annually and the NSW economy at least $170 million annually. “More than 1650 introduced plant species have established in NSW and at least 300 of these weeds have a significant impact on the environment and agriculture – the cost of weeds to NSW agriculture alone has been estimated to be near $1.8 billion per year. “Marine and freshwater environments too are under threat, with more than 250 introduced marine species detected in our coastal waters. Mr Hart said the plan will need to account for the potential of invasive species to establish and spread with future changes to the climate. “The new plan will help guide investment and resources to invasive species prevention and management programs, with the aim of building NSW’s ability and commitment to manage invasive speciesactivities on the ground,” he said. Supporting the NSW Biosecurity Framework and complementing the NSW Biosecurity Strategy, Australian Pest Animal Strategy, Australian Weeds Strategy and National System for the Prevention and Management of Marine Pest Incursions, the draft plan is now open for comment. The National Parks and Wildlife Service (NPWS) is asking for community feedback on the draft Plan of Management (POM) for Crawney Pass National Park. NPWS Ranger Catherine Watt said that input from the local community is critical to help shape the future of the Park located on the Liverpool Range. "We encourage the community to get involved and contribute ideas. This will help us achieve the right balance between conservation, culture and nature-based activities such as bushwalking and bird watching," Ms Watt said. The Park is home to several threatened plants and animals including a population of the rare Booroolong frog (Litoria booroolongensis) and it also helps protect the headwaters of the Isis and Peel rivers. The reserve is important to the identity and spirituality of the local Aboriginal people of the Nungaroo and Wanaruah Nations. "By contributing to the management plan local people can also play an important part in protecting our precious threatened species and the cultural aspects of this ancient landscape," Ms Watt said. The draft plan for Crawney Pass National Park is now on public display andsubmissions are open until 20 November. Office of Environment and Heritage (OEH) Customer Centre, Level 14, 59-61 Goulburn Street, Sydney. Ph Kerry on 0402 605 721. NOPSEMA has assessed the environment plan in accordance with its assessment policies and procedures. make a final decision on whether to accept or refuse to accept the environment plan. The fight to find a cure for many terrible childhood cancers has been boosted with the start of ground-breaking clinical trials, backed by $20 million from the Australian Government. Zero Childhood Cancer is a world-leading initiative, bringing together a national network of hospitals, research centres and clinicians across Australia. The Australia wide clinical trial will focus on improving survival rates and quality of life for children whose cancer currently has no prospect of cure. Childhood cancer kills more children than any other disease in Australia and sadly, each week, we lose three children and adolescents because of it. We must to do everything in our power to protect and improve the lives of these children who face an unimaginable battle so early in their lives. I am delighted that as of today, Australian kids will have access to this trial in Sydney, and it will be available to children with high risk or relapsed cancer nationally, as other sites open over the next few months. The Zero Childhood Cancer program brings together the brightest minds from research and puts Australia at the forefront of innovation in health care globally. It’s an exciting time for medical research in Australia and some of the brightest minds in the world are working right here to find a cure for cancer. Researchers will initially focus on the most common cancers affecting children, including Leukaemia, Neuroblastoma, Sarcoma and brain cancers which occur in children. Tumour samples will be taken from each child and grown and analysed in the laboratory, then tested for the most effective treatments. In this way, drugs can be tested for effectiveness prior to being administered to the child. The initiative will also use genomics and drug screening to provide precision medicine for each child. This will treat each child’s cancer in the most targeted way possible, improving survival, while reducing side effects. The initiative will run nationally over a three year period for children with high risk or relapsed cancer. I want to particularly thank our amazing clinicians, researchers, doctors and nurses who have made this project possible. The work you do is truly life changing and I wish you every success. The Federal Government is committed to supporting and funding medical research because it provides an opportunity to improve of the lives of every Australian. The Turnbull Government is also supporting other major new initiatives that will improve access to clinical trials, particularly for people with rare cancers including children. Through AIM BRAIN, Australian children will have access to international research collaborations of paediatric brain cancer led by the Australian New Zealand Children’s Haematology and Oncology Group. We have also made available $13 million for competitive research grants from the Medical Research Future Fund to boost clinical trial for under-researched health priorities, such as rare cancers and rare diseases. Our focus on clinical trials will benefit patients, improve health outcomes and advance medical knowledge. The initiative will also collaborate with research centres in the USA and Europe. Interested parents should contact their child’s paediatric oncologist. Today the Australian Bureau of Statistics (ABS) and the Australian Institute of Health and Welfare (AIHW) jointly present information from the Survey of Health Care, Australia, 2016. The survey which forms part of the broader Coordination of Health Care study was funded by the AIHW and conducted by the ABS. This survey explored the experiences of people aged 45 years and over who had seen a GP in the previous 12 months, with a focus on coordination of health care, including information transfer between GPs, specialists and hospitals in Australia. Coordination of care is important for quality health care and has been shown to improve people’s health outcomes. “Overall, the majority of people believe they are well-informed about their medical care or treatment but there are differing levels of satisfaction,” said Ms Louise Gates, Director of Health at the ABS. Dr Lynelle Moon, Head of the Health Group at AIHW commented, “most people (92 per cent) reported they had received enough information, or did not need information, about their care or treatment from a health professional. “People also reported on the level of information transfer between their usual GP and specialist doctors. More than three quarters (76 per cent) said their usual GP or others in their usual place of care seemed informed of the care they received from a specialist, but 9 per cent said their GP or usual place of care did not seem informed or did not know about the specialist care until the patient told them. “In comparison, information transfer wasn’t as strong following a visit to the emergency department. More than three in five people (62 per cent) felt their usual GP or others in their usual place of care seemed informed about their follow up needs or medication changes after their most recent visit to the emergency department, while 19 per cent did not,” added Dr Moon. Further information can be found in Survey of Health Care, Key Findings, 2016 (cat. no. 4343.0), available for free download from the ABS website,http://www.abs.gov.au. With almost two in three Australian adults overweight or obese, a new CSIRO report has analysed the five main diet related personality types of more than 90,000 Australian adults to gain a comprehensive picture of why many people find it hard to maintain a healthy diet. In what is Australia's largest-ever diet and personality survey, food cravings were found to be one of the most common reasons diets get derailed. "For anyone who has found eating to lose weight difficult, your personal Diet Type, daily habits and lifestyle factors could provide the answer to why some weight loss methods haven’t worked for you in the past," the report's co-author, CSIRO Behavioural Scientist Dr Sinead Golley said. CSIRO's report focussed on the five most common diet personality types across the surveyed population, and looked at the major stumbling blocks for each personality type. For the second-most common personality type, the 'Craver', the report found resisting certain delicious foods is a significant challenge. "One in five Cravers have tried to lose weight more than 25 times and they say that chocolate and confectionery are the biggest problem foods to resist," Dr Golley said. "On the other hand, people with the most common diet personality type – known as the 'Thinker' – tend to have high expectations and tend to be perfectionists, giving up when things get challenging." Dr Golley said they also found some interesting food personality trends across generations. "Baby boomers and the older, silent generation (aged 71 years and over) were more likely to be Socialisers and Foodies – suggesting lifestyle and social connections influence a person's eating patterns at different stages of life – while millennials and Gen X were more likely to be Cravers, Thinkers and Freewheelers," she said. "We also found younger people commonly used fitness trackers and apps to lose weight, while older generations turned to diet books and support groups." Dr Golley said CSIRO's online Diet Type survey can provide behavioural insights to increase a person’s potential to successfully lose weight. "If you're frustrated by unsuccessful weight loss attempts, having a better understanding of your personal triggers and diet patterns can be the crucial piece of the puzzle," she said. The Thinker (37%) is the most common Diet Type. Predominantly women (86%), Thinkers tend to over-analyse their progress and have unrealistic expectations. This can result in a sense of failure and derail a diet. The Craver (26%) One in four respondents is a Craver and finds it hard to resist temptation. More than half of all Cravers (58%) are obese. The Socialiser (17%) Food and alcohol play a big role in the Socialiser's active social life, so flexibility is key to maintaining a healthy diet. The Foodie (16%) Foodies are most likely to be a normal weight. Passionate about food, this type has the healthier diet with a high variety of vegetables in their diet. Alcohol makes up one-third of their discretionary food and beverage intake. The Freewheeler (4%) Spontaneous and impulsive eaters, Freewheelers have the poorest quality diet. With a higher proportion of men in this group, Freewheelers avoid planning meals and over half (55%) are obese. To learn more about your diet personality and how best to personalise your eating habits, visit What's your Diet Type? A solution to help dramatically improve recovery from a heart attack has become a venture backed spin-out from the national science and technology accelerator program, known as ON. The Cardihab technology was developed by scientists at the Australian eHealth Research Centre (AEHRC), a joint venture between CSIRO and the Queensland Government. Today, Cardihab has spun-out from CSIRO after raising venture capital investment of $1.35 million in the new company. The remaining investment is made by a private cardiology group, and existing Cardihab shareholder Artesian Capital. Minister for Industry, Innovation and Science Arthur Sinodinos said the successful spinout highlighted the innovative capacity of Australia’s research community. “There has never been any doubt about the enviable pipeline of Australia’s world-class research, but we can achieve even more by adopting an entrepreneurial approach that helps convert science into commercial outcomes,” Senator Sinodinos said. CSIRO Chief Executive Larry Marshall said the speed at which Cardihab had reached commercialisation was testament to effectiveness of the ON accelerator program. “Establishing ON was about creating a pathway to help our scientists turn their ideas into real-world solutions for the big problems facing Australia now and in the future,” Dr Marshall said. “Cardihab exemplifies the combination of public good and economic outcomes that makes ON so unique. In Australia someone has a heart attack every nine minutes, however less than one third of survivors follow through with cardiac rehabilitation, often leading to complications and repeat attacks. Heart attack survivors who complete rehabilitation are 40 per cent less likely to experience another attack. Making rehabilitation more convenient for people, Cardihab trials were shown to more than double the completion rates for rehabilitation. Cardihab’s model of care is backed by a randomised control trial that was conducted by CSIRO and the Metro North Brisbane Health and Hospital Service, and published in the international journal Heart. The trial demonstrated that although the Cardihab model of care was clinically equivalent to normal care, it significantly improved patient uptake, adherence and completion of cardiac rehabilitation. Subsequent implementation projects have continued to confirm the efficacy of the Cardihab model. Cardihab Chief Technology Officer Simon McBride was part of the team that has been developing and trialling the technology while undertaking research at the AEHRC. “Cardihab makes cardiac rehabilitation more convenient meaning that clinicians are able to get more patients to complete the program,” Mr McBride said. In addition to completing the ON program, Cardihab also benefitted from participation in the HCF Catalyst Program (a health care focussed Accelerator) run by Slingshot. • If you’ve moved home or have a damaged or spoiled form, call now to request replacement survey materials. • Mail-out of Australian Marriage Law Postal Survey materials completed by 25 September 2017. • Requests for new survey materials open 25 September and close on Friday 20 October 2017, at 6pm (local time). • To ensure your response counts, send your survey back straight away. • Results published on the ABS website on 15 November 2017. Businesses in the disability support sector can apply for grants of up to $2 million to expand their operations. The Disability Sector Scale-Up (DSSU) program will help businesses that deliver disability support services to prepare for growth as the National Disability Insurance Scheme (NDIS) rolls out. As well as business grants, the program will provide low-cost advisory services for small businesses through Business Connect to help them identify new opportunities that emerge from the NDIS. Deputy Premier and Minister for Skills and Small Business John Barilaro said the rollout of the NDIS would improve choice and access to high-quality services for people with a disability. “Critically this program will focus on strong service delivery in rural and remote areas,” Mr Barilaro said. Minister for Disability Services Ray Williams said the DSSU was a component of the NSW Government’s Smart, Skilled & Hired initiative. The new $10 banknote enters general circulation tomorrow, and follows the release of the new $5 banknote last year. The design of the new $10 banknote retains images of Dame Mary Gilmore and AB ‘Banjo’ Paterson and includes elements of their works. It also is the same size and uses the same colour palette as the existing $10 banknote. Features introduced with the new $5 banknote are also included on the new $10 banknote to protect against counterfeiting and to maintain public confidence in the banknotes. These include the top-to-bottom window that contains multiple interactive elements, a patch with a rolling colour effect, fluorescent ink and raised printing. All banknotes in the new series also include a tactile feature to assist the vision-impaired community. The $10 banknote will be the first with the signature of Governor Philip Lowe. While the existing series of banknotes will be progressively withdrawn from circulation, they will retain their legal tender status and can continue to be used. The new $50 banknote is expected to enter circulation in late 2018. The remaining denominations in the series will be introduced in subsequent years. This image shows the signature side of the new $10 banknote. This image shows the serial number side of the new $10 banknote. Further information on the new banknote, including videos explaining the new features, can be found at banknotes.rba.gov.au. The Australian ten dollar banknote was issued when the currency was changed from the Australian pound to the Australian dollar on 17 February 1966; it replaced the £5 note which had similar blue colouration. There have been four different issues of this denomination, a paper banknote, a commemorative hipolymer note to celebrate the bicentennial of Australian settlement (the first polymer banknote of its kind), and from 1993 a polymer banknote, which has just been updated and released for general circulation in September 2017. According to Reserve Bank of Australia statistics, as at June 2016 there were 120 million $10 notes in circulation, with a net value of $1.196 billion. This was 2% of the cash value of all banknotes in circulation, and 8% of the number of all banknotes in circulation. Since the start of issue of $10 notes, there have been eleven signature combinations, of which the 1967 issue is the most valued. It was issued for one year only, along with the Coombs/Wilson issue of 1966. Following the issue of a new $5 note in September 2016, the RBA revealed the design for the $10 note and will be issued in 20 September 2017. From 1966–1974 the main title identifying the country was Commonwealth of Australia; there were 470,000,000 notes issued in this period. This was subsequently changed to Australia until the end of issue of paper currency for this denomination in 1993, with 1,265,959,091 of these notes being printed. In the 1988 polymer issue 17,500,000 banknotes were printed and was the new Australia's 10 dollar note. The people depicted on the paper note issue were Francis Greenway on the obverse along with public building he helped construct, and Henry Lawson on the reverse with his poetry and scenes of the outback gold mining town of Gulgong in the 19th century including the Times Bakery. The polymer note features Andrew Barton (Banjo) Paterson on the obverse with a horse from the Snowy Mountains region, and a wattle plant, also included is his signature. His poetry is in the background. Dame Mary Gilmore is on the reverse with 19th-century heavy transport with horse and cart and verses from her poetry. Her signature is included. A windmill is in the clear window with the raised wavy lines. The $10 note of 2017 retains the themes of the original, with this issue featuring the Bramble Wattle (Acacia victoriae) and the Sulphur-crested Cockatoo (Cacatua galerita). Obverse design included the sailing ship HMS Supply anchored at Sydney Cove with the early colony in the background. Above are people who symbolise all who have contributed to Australia, from left the early settlers to right the modern working man. Reverse includes portraits of the aboriginal population, the main picture is a young native youth with ceremonial paint, and in the background is a Morning Star Pole, other Aboriginal artworks commissioned by the Bank and a human like figure from Dreamtime. The paper design included a watermark in the white field of Captain James Cook, the watermark was also used in the last issue of pound banknotes. A metallic strip, first near the centre of the note, then from 1976 moved to the left side on the obverse of the note. Polymer issue includes a shadow image of the coat of arms which is printed over. Embossing or a raised image in the clear window of wavy lines. Also for this issue fluorescent colouring was added to the serial numbers. A star with four points on the obverse and three on the reverse which join under light. Raised print and micro printing of the poem The Man from Snowy River and the denomination value are included. 1988 Commemorative This issue includes an optically variable device of Captain James Cook, who first mapped Botany Bay. John Barry's lyrical 'Give Me a Smile' and the sweeping panoramas of the Northern Territory's Forster Ranges. Over 18,000 sites across New South Wales, Victoria, Western Australia and the Northern Territory have been identified as possible locations for pumped hydro energy storage. The sites have been identified as part of work being carried out by the Australian National University which is supported by a $449,000 grant from the Turnbull Government through the Australian Renewable Energy Agency (ARENA). The aim of the study is to develop a nationwide map of potential sites for establishing off-river pumped hydro storage and builds on the 5,195 potential sites identified in South Australia, Queensland, the Canberra district and in and around Alice Springs earlier this year. “Investing in renewable storage technologies, such as pumped hydro and batteries, will play a key role into securing an affordable and reliable energy network in Australia,” said the Minister for the Environment and Energy Josh Frydenberg. Pumped hydro energy storage involves pumping water uphill to a storage reservoir and releasing it through a turbine to provide additional energy into the electricity grid when it is needed. It accounts for 97 per cent of energy storage worldwide. The potential sites have only been assessed on a geographic basis at this stage. “As the Chief Scientist Dr Alan Finkel noted in his review of the National Electricity Market, pumped hydro storage systems are the most mature electrical energy storage systems available,” said Minister Frydenberg. As part of the Turnbull Government’s commitment to the affordability and reliability of the National Electricity Market, ARENA and the Clean Energy Finance Corporation are working together on a new priority funding round for large-scale storage and other flexible capacity projects including pumped hydro. Commonwealth Games Australia and the AIS today announced the signing of a memorandum of understanding in the lead up to the Gold Coast 2018 Commonwealth Games. The MoU will see CGA and the AIS continue to partner on a number of key areas for Gold Coast 2018 including recovery services, performance planning and analysis, and the new Sidelines Champions program. CGA CEO Craig Phillips made the announcement alongside Australian Sports Commission (ASC) CEO Kate Palmer at CGA’s Dare to Dream session at the AIS in Canberra today. Phillips said CGA and AIS had already been working strongly together and the MoU was another step to ensuring Australian athletes have the best possible chance of success at the Gold Coast 2018 Commonwealth Games. “Success on the Gold Coast will be a team effort,” Phillips said. “At Commonwealth Games Australia we believe our best chance of success is to work together with key partners in the Australian sports system, including the Australian Institute of Sport, which has played an integral part in Australia’s sporting success for a long period of time. “We are fortunate that we can utilise the skills and knowledge of people within the AIS to assist our athletes in the lead up to and during the Gold Coast Commonwealth Games in areas like sports planning, analysis and recovery. CGA and the AIS have already been working in partnership on several initiatives focused on athlete funding and support. CGA has contributed an extra $2M worth of direct funding to athletes via the AIS program, dAIS, which invests more than $13M a year directly in athletes. The Sideline Champions program has been designed by the AIS and CGA to maximise support and minimise distractions for athletes by involving their family and significant others during the entire journey. “A home Commonwealth Games is such a proud celebration for Australian athletes and their loved ones,” Palmer said. “The Sideline Champions program is about inviting families and partners of our Aussie athletes to be part of the journey before, during and after the Commonwealth Games. These support networks have an important role to play because they assist athletes to focus on their preparation. We see it as a competitive advantage for the athletes and also a way to foster community spirit among the wider support networks. The MoU with the AIS represents the second major partnership for CGA in the lead up to Gold Coast 2018, following the announcement of a formal partnership with the Australian Paralympic Committee earlier in the year. Australians are encouraged to have their say on the digital future of the nation under a Digital Economy Strategy to be released by the Australian Government early next year. Today I released the consultation paper to help us develop this strategy. The strategy will be developed in consultation with industry, thought-leaders, small and medium sized businesses, government, community as well as the broader private sector and will outline how we can best work together to seize the benefits of digital transformation and secure Australian jobs into the future. Australia already has areas of competitive strength, such as energy resources, and medical and mining related technologies. I believe we can also become a world leader in digital innovation which could boost the Australian economy by $140 billion to $250 billion over the next eight years. How we can drive productivity within existing industries, build on competitive strengths and develop new ones, take advantage of economy-wide changes and open up new growth sources. How we develop world-leading digital businesses for globally engaged, innovative, high-growth businesses of all sizes. How we can empower all Australians with the skills and confidence to succeed in a digital economy. I look forward to launching the strategy in 2018. Consumers and health professionals are advised that Freedom Healthcare, in consultation with the TGA, is recalling two batches of two different models of Freedom Healthcare Quad Walkers. Freedom Healthcare Quad Walkers are walking aids. The affected model numbers are BRO209 (pictured) and BRO199. The walkers that are being recalled were produced in June and October 2016 and have the batch number FHFHCBR13 or FHFHCBR15. There have been reports that in some instances the front right wheel of walkers from these batches has worked loose or broken away from the frame. If this occurs, there is a risk that the user could be injured. Freedom Healthcare is writing to people who, according to their records, may have a walker that is affected by this recall to provide further information about this issue and details of the recall procedure. If you or someone you provide care for uses a Freedom Healthcare Quad Walker, check the information sticker on the walker to find the batch number. If you have a walker with batch number FHFHCBR13 or FHFHCBR15, return it to the place of purchase for a replacement or refund. The Sydney Harbour Federation Trust is inviting local residents to join the team of volunteers who help restore, enrich and share North Head Sanctuary by joining the Harbour Trust’s volunteer team, and is currently recruiting for Visitor centre, tour guide and restoration volunteers. North Head Sanctuary comprises more than 80 buildings set in 72 hectares of natural bushland, and is uniquely managed by the Harbour Trust in recognition of its precious natural and environmental values. “The Harbour Trust is supported by an incredible team of 250 volunteers who play an essential role in the work of the Harbour Trust and across our sites,” said Harbour Trust CEO, Mary Darwell. “Last financial year our volunteers contributed more than 29,000 hours of support,” she said. “Volunteering at the Harbour Trust is a rewarding experience, providing the opportunity to work at extraordinary sites, such as North Head Sanctuary,” said Ms Darwell. North Head Sanctuary – Visitor Centre Volunteer: Based at the North Head Sanctuary Visitor Centre at North Fort, volunteers meet and greet visitors and help them to maximise their visit by assisting with historic information, directions, tours and attractions. The role particularly suits a people-person with an interest in the environmental or historic elements of the site. The visitor centre is open daily with a fortnightly or weekly commitment required from each volunteer. Volunteers are currently needed for Saturdays and Sundays. North Head Sanctuary (North Fort) Tour Guide: Tour guides lead groups of up to 25 people through the military heritage of North Fort at North Head Sanctuary. The site has played an important role in the defence of Sydney and the still includes military infrastructure including gun emplacements and underground tunnels, accessed through tours only. Tours run every Sunday year round, and Saturdays during summer. Volunteer guides need to have some guiding experience, an interest in military history, be comfortable presenting to groups and an interest in sharing the history of this site with visitors. North Head Restoration Volunteer: Restoration volunteers are currently restoring the military heritage of the North Fort site at North Head Sanctuary including underground WWII tunnels and gun emplacements. Future projects include the underground plotting room and observation posts. Engineering and trade skills including carpentry, fitting and turning are highly regarded but not essential. The team meets each Tuesday and Wednesdays. Volunteers must provide their own steel caped boots. Workshop facilities, tools and equipment are all provided. A Site Induction Certificate (white card) is essential and the training is provided. Harbour Trust Volunteers all work within their own teams and are trained in their role, and also become part of the 250 strong Harbour Trust volunteer team, are given a uniform and enjoy social opportunities, information sessions and other benefits. The role would particularly suit a local to the area. To apply visit http://www.harbourtrust.gov.au/webform/apply or for more information contact the Harbour Trust Volunteer Manager on 8969 2112. An increasing number of older Australians and their families are using the independent Aged Care Complaints Commissioner to resolve issues with aged care providers, with most complaints turned around within one month. The Commissioner’s 2016-17 report shows the overall number of people who raised a complaint with the Commissioner rose 20 per cent over the previous year. Minister for Aged Care, Ken Wyatt, said that in a perfect world there would be no need for the service but he welcomed the news that more people were receiving assistance. “We are committed to accountability because every older Australian who needs aged care support deserves a quality service that is safe and meets their individual requirements,” Minister Wyatt said. “The Commissioner provides free and independent advice and investigations and will hear concerns about the quality of any aged care service subsidised by the Australian Government. The 2016-17 annual report from independent Commissioner, Rae Lamb covers the first full year since she was appointed by the Turnbull Government in January 2016. The report shows that the Commissioner resolved the majority of complaints quickly and effectively, with three out of four finalised within 30 days. “Consumers and advocates can have confidence in the impartiality and independence of the Commissioner,” Minister Wyatt said. Mr Wyatt said the Complaints Commissioner was an important part of the Government’s checks and controls to ensure consistent quality and safety in aged care across Australia whilst ensuring older Australian’s understood they had someone at the end of a phone line they could talk to during a difficult time. The annual report of the Aged Care Complaints Commissioner report is available online on the Aged Care Complaints Commissioner website. Residents, members of the community and operators are invited to provide feedback on issues in the retirement village sector. fairness of arrangements to levy maintenance fees to maintain the village and address building defects. To hear the views of residents and members of the community, forums will be held in Sydney, Hornsby, Ballina, Port Macquarie, Newcastle, Wollongong, and Wagga Wagga during October 2017. Have your say by 31 October 2017. National Seniors has welcomed the Federal Government’s rollout of an extra 6,000 high-need home care packages, but says too many older people are still waiting for services. National Seniors Chief Advocate Ian Henschke said Aged Care Minister Ken Wyatt’s announcement of the additional high-need packages would only address a small fraction of the almost 90,000 older Australians who were receiving a lower level of care than required or no care at all. The minister’s announcement of the additional 6000 Level 3 and 4 home care packages, along with a $20 million revamp of My Aged Care system, followed the release of two different reports late last week. The first, the Aged Care Legislated review led by former Secretary of Finance and current Chair of the Aged Care Sector Committee, David Tune, was a five-year review of reforms embodied in legislation passed in 2012. Giving older people in residential care ownership of their packages so they can choose the best provider and transfer to another if they are not happy with their care. Providing consumer support services such as system navigators and outreach services to help people connect to the aged care they need. The second was the Home Care Packages Program Data Report, released by the Federal Government, showing that as at 30 June 2017, more than53,000 people were waiting for a home care package and another 35,000-plus were on a lower package than they had been approved to receive. Mr Henschke said the reports revealed for the first time the full extent of the issues many older people and their families had been experiencing in securing the appropriate levels of care. “Many people want to stay in their own homes as they age, because it’s familiar and has been shown to produce better outcomes in terms of health and social connectedness,” Mr Henschke said. “The government understands this, and that it’s far more cost-effective than having people move into fulltime residential aged care. “But it’s a sad indictment on the current system that more than 53,000 people are waiting for any type of home care at all. That means they are going without help with showering and other personal care, transport to medical appointments, or physiotherapy. “And another 35,000 seniors are receiving less support than they need. Mr Henschke said National Seniors Australia would continue to work with the Minister for Aged Care to improve provision of home care services because its members and other seniors had clearly demonstrated their desire to continue living in their homes and communities for as long as possible. The full Tune Review can be found here and the Home Care Packages Program Data Report here.